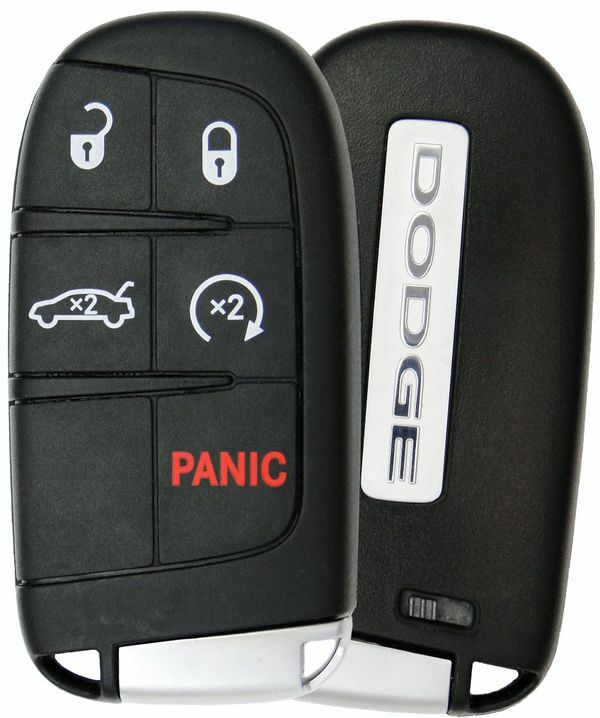 2014 Dodge Charger Keyless Entry Remote w/ Remote Start - new condition with emergency insert key included. This 2014 Dodge Charger key fob has to be programmed by your local dealer or a pro automotive locksmith. Price above is quoted for one replacement keyless entry unit including the emergency key. 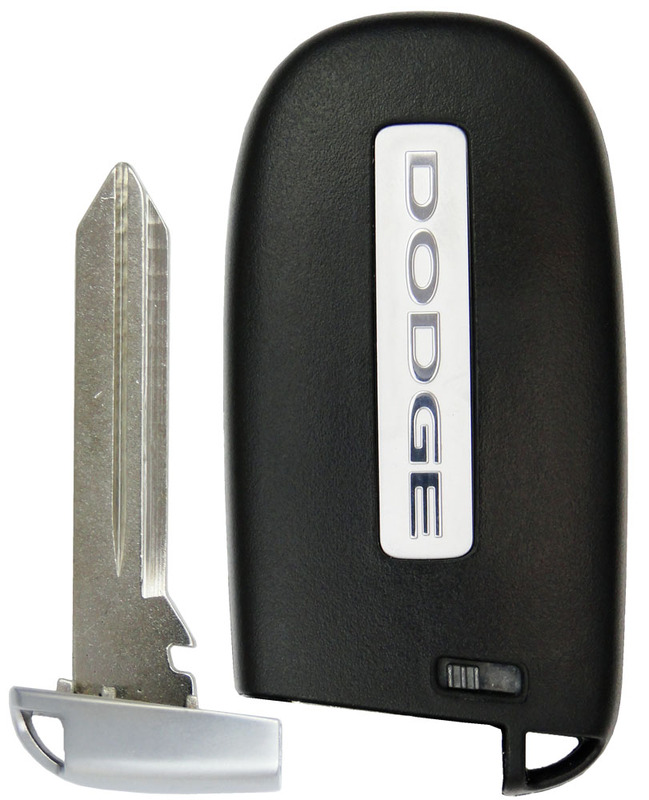 All 2014 Dodge Charger models were manufactured with a standard keyless entry system. Current Part number P/N : 05026676AH Supersession (replaces) 05026676AC, 05026676AF, 05026676AD, 05026676AG, 05026676AE. All of the part numbers above are the same remotes.